The Prime Minister has admitted there is ‘not enough support’ for a new vote on her Brexit deal. After gathering Brexit-backers at Chequers on Sunday and speaking to the DUP leader, Arlene Foster and Jeremy Corbyn, on Monday, the PM said she had reached the conclusion she could not yet win the vote. 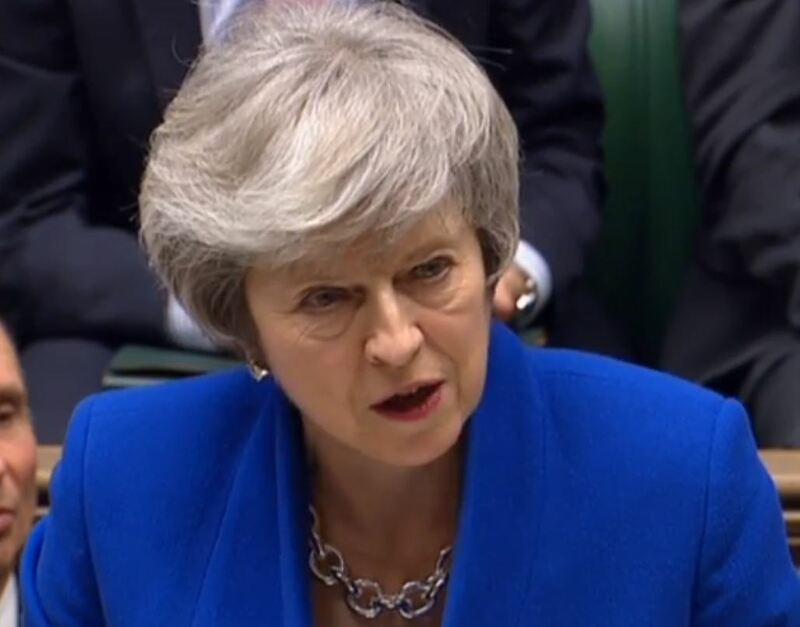 She told the Commons: “It is with great regret that I have had to conclude that as things stand, there is still not sufficient support in the House to bring back the deal for a third Meaningful Vote. “I continue to have discussions with colleagues across the House to build support, so that we can bring the vote forward this week, and guarantee Brexit. She continued: “I hope we can all agree, we are now at the moment of decision. “And in doing so we must confront the reality of the hard choices before us. “Unless this House agrees to it, No Deal will not happen.